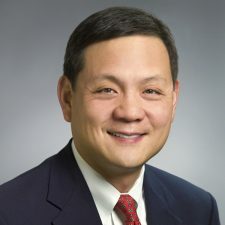 Curtis Lu serves as FTI Consulting’s General Counsel and is a member of the firm’s Executive Committee. Curtis is responsible for all of FTI Consulting’s legal affairs. He is based out of the Company’s executive headquarters in Washington, D.C. Prior to joining FTI Consulting in 2015, Curtis served as General Counsel and Corporate Secretary at LightSquared, a company that delivers mobile satellite voice and data services throughout North America, where he oversaw all of the Company’s legal functions. Prior to this role, Curtis was the Senior Vice President, Deputy General Counsel and Chief Ethics and Compliance Officer for Time Warner, Inc., where he was responsible for overseeing legal support for the Company’s regulatory and policy matters, including antitrust, merger clearance, intellectual property and federal communications regulatory issues. From 2008 to 2009, Curtis served as Acting General Counsel for the Federal National Mortgage Association ("Fannie Mae"), and from 2006 to 2008 he served as the Company’s Senior Vice President and Principal Deputy General Counsel. At Fannie Mae, he was responsible for legal support in the areas of antitrust, capital markets, litigation, government investigations, public policy and legislation, regulatory compliance, tax and corporate compliance. From 2005 to 2006, Curtis was Acting General Counsel for America Online, Inc. (“AOL”), and from 2002 to 2005 he served as Senior Vice President and Deputy General Counsel. At AOL, he was responsible for overseeing legal support in the areas of corporate governance and SEC reporting, consumer marketing, corporate compliance, public policy, litigation, employment litigation and counseling and regulatory compliance. Curtis began his legal career at Latham & Watkins, where he was a commercial litigation Partner. Prior to this role, he served as a Law Clerk to the Honorable Thomas A. Clark of the United States Court of Appeals for the Eleventh Circuit and was a Teaching Fellow at Stanford Law School. Curtis earned his bachelor’s degree from the University of Virginia and obtained his J.D. from Harvard Law School. He currently serves as the Chair of the Board of Directors of the Asian Pacific American Legal Resource Center.